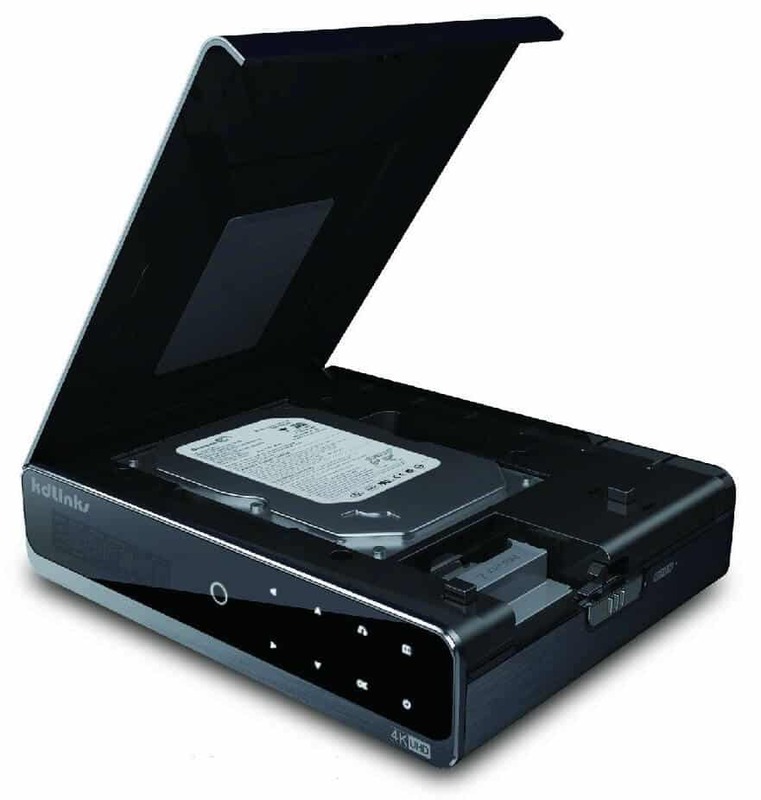 The KDLINKS A300 box opens to reveal a 3.5″ HDD bay, useful to store your media storage drive, and actually use it. 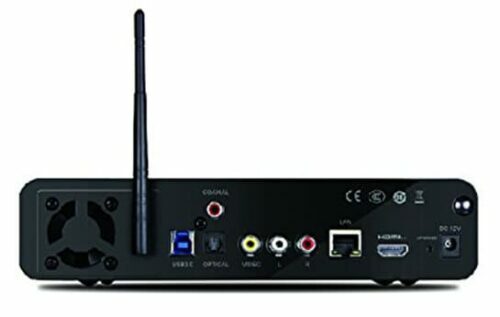 Meet the KDLINKS A300 media player. This insane beauty is as useful as expensive. For a bit less than 220 bucks, you can take this device -and its included remote- home. Why would you pay so much for an Android media box, when there are several Android media players below $100? 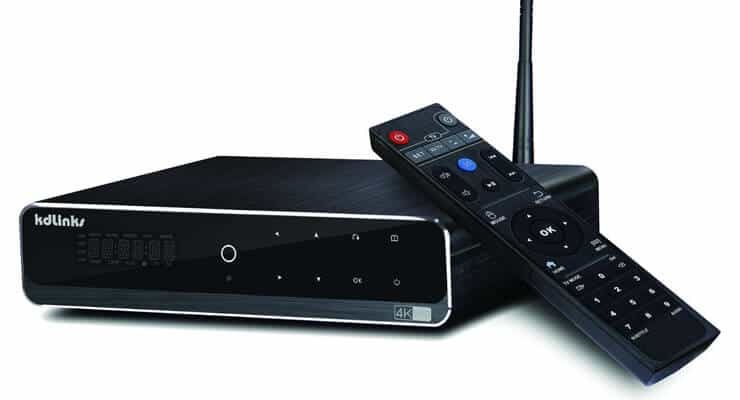 Well, in this KDLINKS A300 review we have seen that you would pay for great hardware capabilities, as well as good connectivity and a friendly remote with some mouse functionality. No, don't get me wrong, you can't flick this remote in the air like you would with a Lynec C120 air mouse; however, you could press the mouse button and have the arrow keys move your pointer. A bit archaic, but a good alternative if you still haven't got your keyboard and mouse combo. This being said, and if you looked at the picture above, there's a trait this device doesn't share with its less-expensive brethren. The USB ports for the KDLINKS A300 are on the side of the device, along with its SD card slot. 4K H.265 Hardware Decoding with Super STRONG 4 core CPU, 8 core GPU, 2GB RAM, 16GB Built In Storage. GIGABIT LAN, speed is around 20-30MB/s, fastest in current media player market; Provides Best Performance for Local Network Streaming. Support for Most Android Apps, including Netflix, Youtube, XBMC/KODI, Skype and many others. Outstanding local media file playback, with support for most popular video/picture/music formats, including BD 2D/3D ISO, VOB, etc. Supports Dolby Digital 5.1/7.1, TrueHD 5.1/7.1, DTS-HD MA and DTS-HD. On the back of the KDLINKS A300 you find the rest of connection ports, including Ethernet, optical audio, HDMI and others. KDLINKS A300 review: do you recommend this device? Expensive device, that offers a novel feature that most Android boxes lack. If having a hard drive attached inside your Android media player is something you consider a deal breaker, or if you want to enjoy a media collection locally, then this device is for you. On the other hand, if you just want to stream media from the multiple addons you can enjoy with Kodi for Android, such as the 10 best live TV addons for Kodi, then you are better off looking into other less expensive options.